Twenty vehicle manufacturers from across Asia, Europe and North America have made it to the final stages of the 2018 World Car Awards. Nine of those finalists are in the running for the most talked about, sought after and important automotive award on the planet, the 2018 World Car of the Year title. 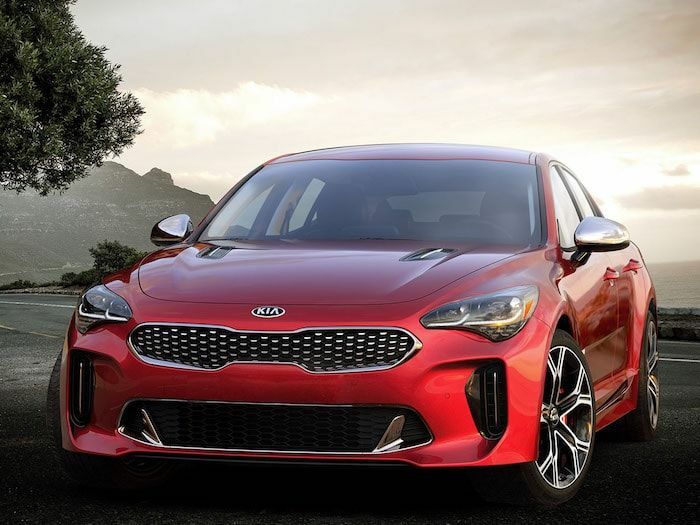 The Fast-improving Kia brand has developed the all-new 2018 Kia Stinger that is on the list of nine finalists. It’s quite an accomplishment for the South Korean automaker. On the list with Stinger is an impressive list of cars with Alfa Romeo Giulia, BMW X3, Land Rover Discovery, Mazda CX-5, Nissan LEAF, Range Rover VELAR, Toyota Camry, Volkswagen T-Roc, and Volvo XC60. In its short life, the new Kia Stinger has already received awards. Stinger was named to Wards 10 Best Engines list for 2018. It was quite an accomplishment for Kia as it tops the list overtaking the 3.0L Turbocharged DOHC I-6 under the hood of the BMW M240i that won last year. With a starting price under $40,000, Stinger could be the best performance value under $40K in America. The South Korean automaker moved into a new neighborhood with the Stinger GT performance Sports Fastback. It competes with the Audi S5 Sportback, BMW 440i Gran Coupe, and Infiniti Q50. The Stinger GT launches from 0-60 mph in 4.7 seconds and has a governed top speed of 167 mph. The Kia brand isn’t just about producing small economy cars anymore. If you haven’t been paying attention, Kia is about building quality vehicles. Kia is now ranked #1 in quality for the second year in a row in JD Power’s Initial Quality Study, they are top three in Consumer Reports reliability, and they are recognized as one of the 100 Best Global Brands and 50 Best Global Green Brands by Interbrand. Parent company Hyundai, is making huge strides in catching the Japanese competition, and they want the new Stinger to be a major player in performance vehicles. It’s well on its way as the 2018 Kia Stinger is now on the short list for 2018 World Car of the Year honors. Stay tuned.